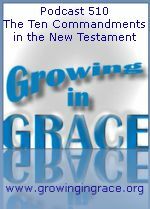 Legalistic Christians who feel our message of free and unlimited grace is considered erroneous and hyper, will argue that all of the top ten commandments are found in the New Testament. They'll reason that this means they are meant to be included as a part of the New Covenant. Jesus stated one of the greatest commandments was to love your neighbor as yourself, which is not one of the Ten. So just exactly how many of the 613 laws within the law are we supposed to abide by? 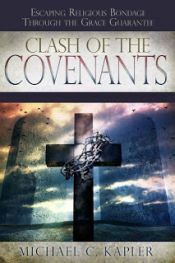 This week, we'll take a look at some of the context surrounding the references to these commands found in new covenant writings and reveal the true intent of the entire law.